The Washer and Dryer Sets Portable Washer and Dryer Set by Amana at Pedigo Furniture in the Livingston, Onalaska, Trinity, Coldspring, Corrigan, Huntsville, TX area. Product availability may vary. Contact us for the most current availability on this product. NEC3120FW Front Load Portable Dryer 1 24" 22" 31"
NTC3500FW Top Load Portable Washer 1 31" 23" 37"
Washer Capacity 1.5 Cu. 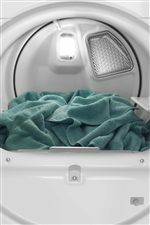 Ft.
Dryer Capacity 3.4 Cu. Ft. 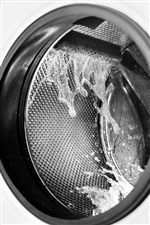 Experience the ease and convenience of owning a washer/dryer set from Amana. With a wide variety of styles and features, you're bound to find that perfect combination for your home. Make laundry quicker and simpler and enjoy your extra time with family and friends. The ENERGY STAR® certified products are efficient energy savers that save you money on utility bills while protecting the environment. And they do all this without sacrificing their cutting-edge features or styles. The Washer and Dryer Sets collection is a great option if you are looking for Appliances in the Livingston, Onalaska, Trinity, Coldspring, Corrigan, Huntsville, TX area. 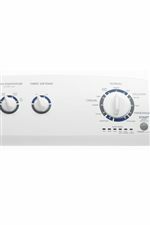 Browse other items in the Washer and Dryer Sets collection from Pedigo Furniture in the Livingston, Onalaska, Trinity, Coldspring, Corrigan, Huntsville, TX area.